Ideal for hardwood decking, marine and polluted environments. A4 stainless steel. Deck-Tite Plus A4 Countersunk Screw 4.5 x 75mm (200 Pack) is rated 3.8 out of 5 by 6. Rated 3 out of 5 by Eloc from Not bad but not great I used a few boxes of these. They are pretty good but definitely inferior to top brands such as Spax. You need to maintain a very firm pressure on the driver to stop the square bit jumping out or rounding and hence failing to drive fully in. Its actually slightly tapered which does not help. Whereas the Torx head on say a Spax equivalent is far less likely (from my experience) to jump out while driving. however these are cheaper and with a bit of care still do the job. Rated 5 out of 5 by Pet er from Top quality screws. 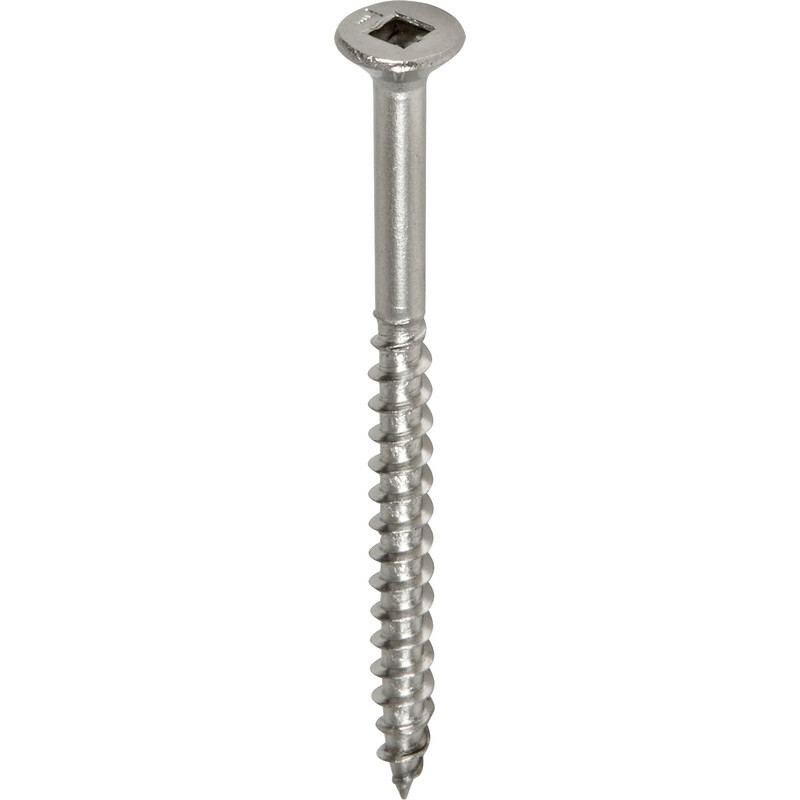 I have now used a box of 200 of these A4 stainless screws. They drive well although I drilled my decking in case it split near the ends. I have tried almost every decking screw available but they have all rusted to a greater or lesser extent. I am using these A4 screws because I do not want to have to replace them or have difficulty removing them if necessary. They are expensive but well worth the money. They are square drive and the box contains a suitable bit. I have just ordered a second box. Rated 4 out of 5 by Juraj from A4 stainless A4 stainless was why i chose this one. remember A4 has got more chrome in it, therefore better resistance to weather, but also it is softer too. So rounded about 5-10 out of 100. Rated 3 out of 5 by Juraj from not too bad at all. bought a box from Bridgwater Shop, which was openned, they didnt have a second one so hoping to have all 200 in. Quality not too bad, binned 2 so far, used about 50. for that price i was expecting something superb. should survive outside for some time, so cant say if that is going to happen or not. hope it will.